the nuns should readily give themselves to work with all their powers of mind and heart as well as their gifts of nature and grace." A certain portion of each sister's day is given to work, some of which finds its form in manual labour. Much more than simply a way to help earn our monastery's daily bread, this work is an opportunity to work with God in a spirit of silent adoration and prayer, rejoicing that we can use our hands to create beauty alongside Him who is "Beauty, ever ancient, ever new" as St. Augustine wrote. 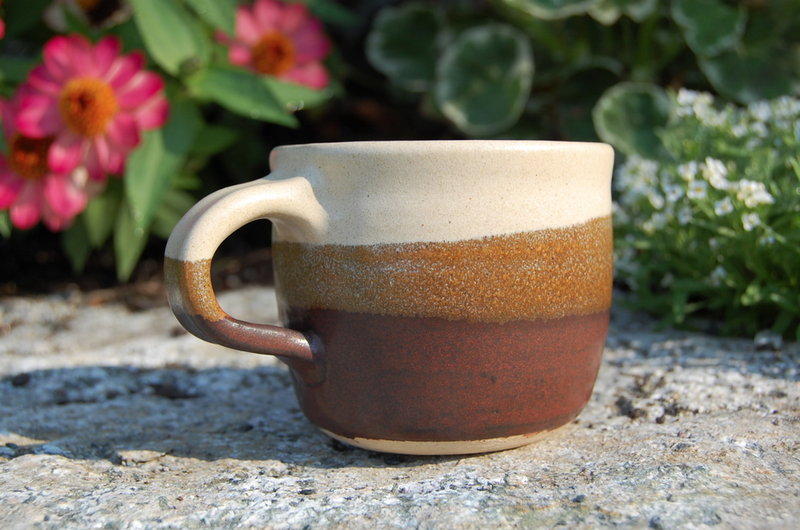 Our monastery's gift shop is home to an ever-increasing variety of handmade goods created by our sisters, a selection of which you can see below. 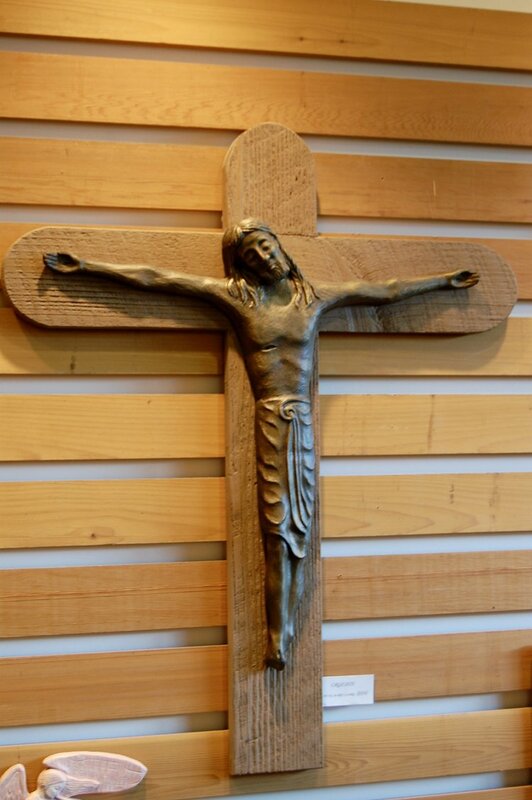 From rosaries and handmade soap, to larger-scale sculptures and religious artwork, each piece is prayerfully handcrafted out of love for God. Guided by a sister with many decades of practice in the craft, our first "sister apprentices" fired up their pottery wheels in January 2016. 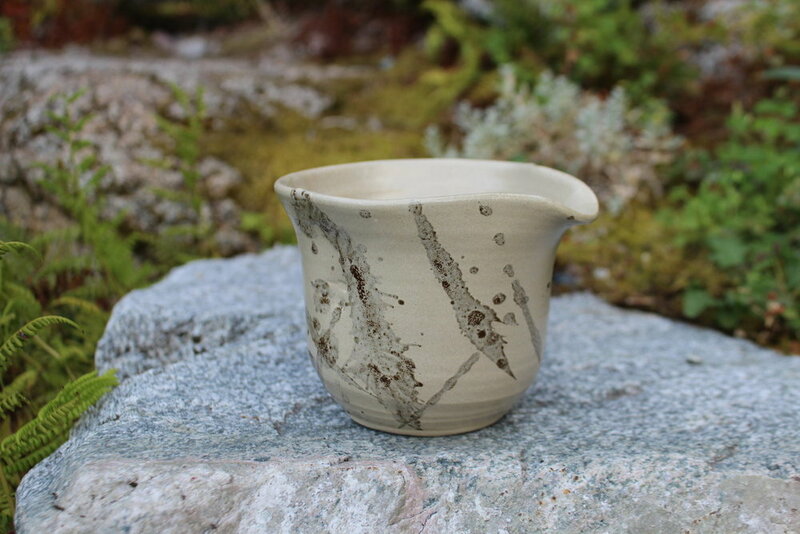 Alongside the slow process of learning an ancient art, we have also painstakingly developed a variety of homemade glazes whose bases consist of locally sourced natural materials—granite dust and wood ashes found on our own property. 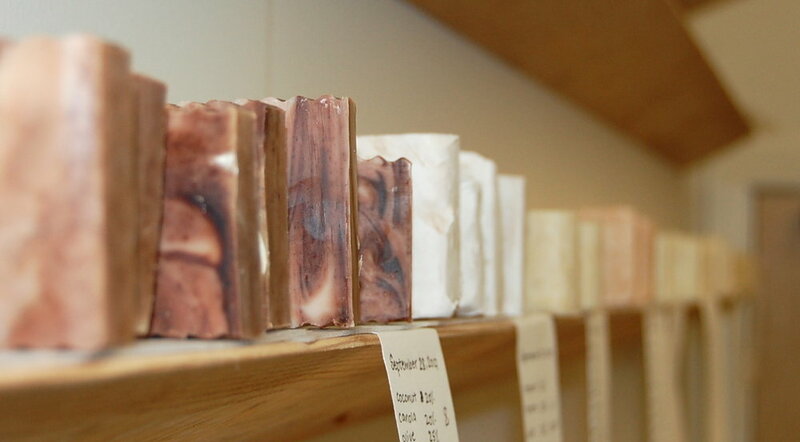 Prayerfully made from a variety of natural ingredients and essential oils, each batch of soap is handcrafted, poured into a wooden mold and left to cure overnight in the soap workshop. After being sliced into bars, the fresh soap cures for at least three weeks before being hand wrapped and set out for sale in our gift shop. 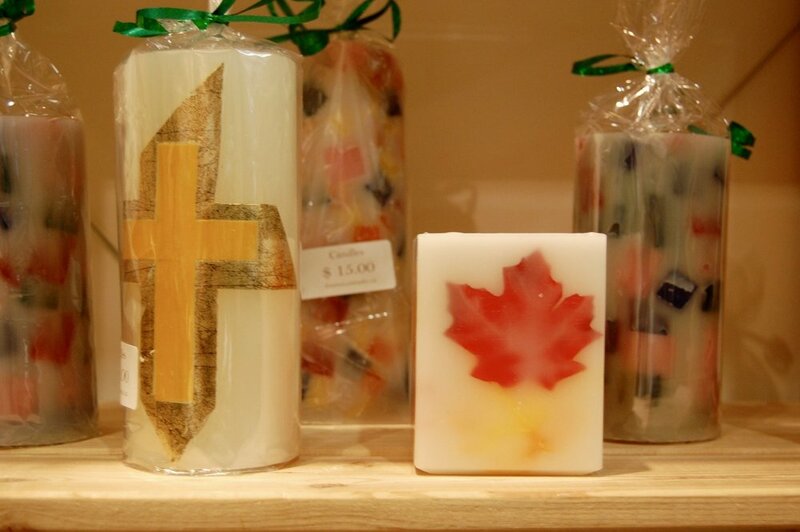 Soaps range from plain and gentle to (ever increasing) varieties like Autumn Breeze, which is inspired by the smell of the forest behind our monastery in the fall (green tea and cedarwood, orange, eucalyptus, nutmeg and citronella essential oils). Hand-poured beeswax and paraffin candles in a variety of styles and sizes, from Advent wreath candles and pretty table decorations to full-size Paschal candles. 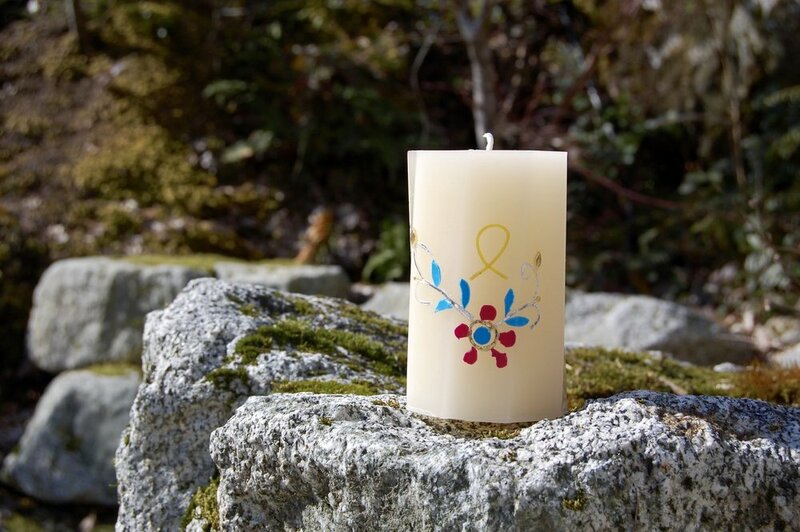 Many of our candles are sustainably made from recycled wax donated by generous friends and benefactors. For Lent 2019, we currently have the following sizes of Paschal candles. 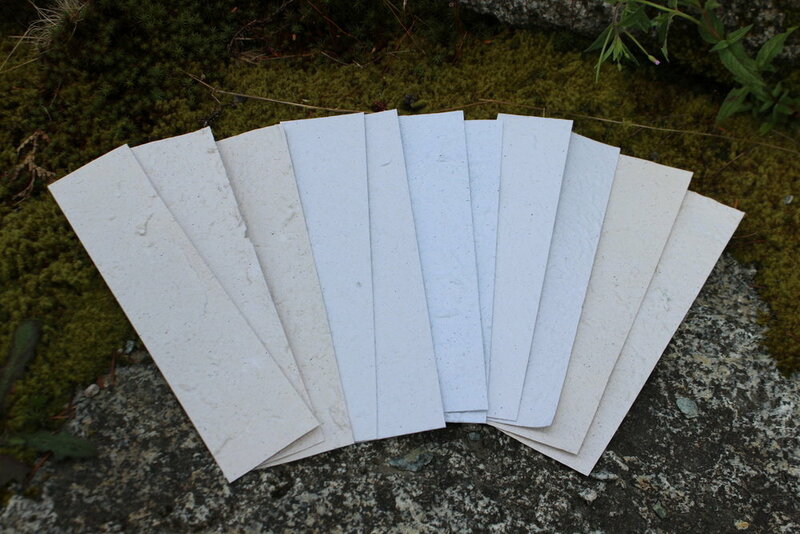 What do you do when you have a monastery's worth of scrap paper? Recycle it, of course! Each card, bookmark and piece of stationary is individually handcrafted from recycled paper pulp and decorated with flowers and other wild flora from the monastery's forest and grounds. The sisters in our woodworking shop create an assortment of small projects, ranging from small cedar boxes to bowls and prayer benches, many of which are built from locally harvested wood. 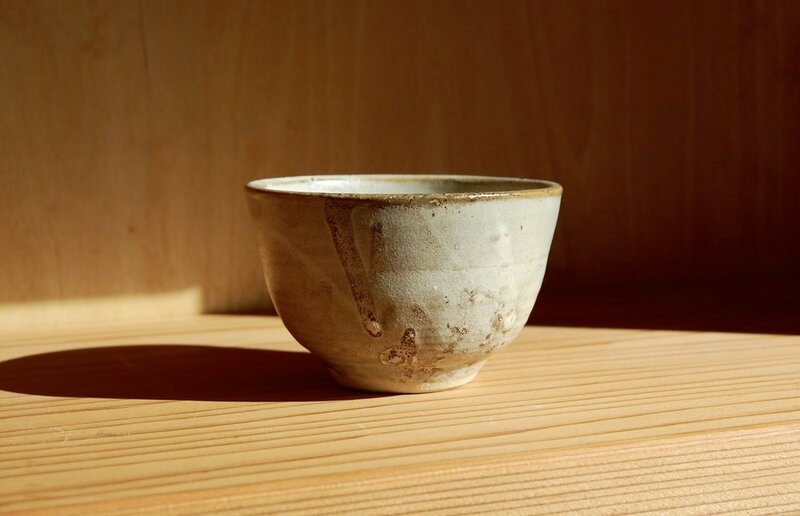 As one sister puts it, "As if it wouldn't be enough for God to make trees beautiful on the outside, He decided to make their insides beautiful too—and I love discovering His craftmanship in every piece of wood." 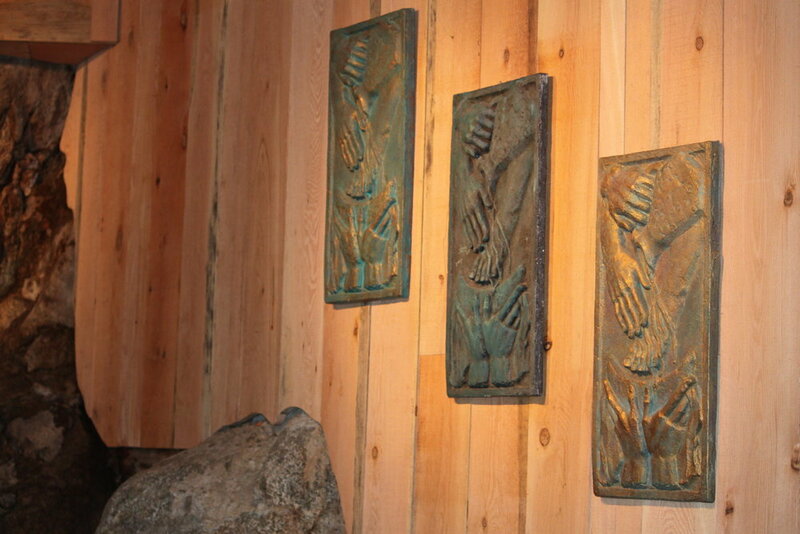 Several of our sisters are sculptors in clay and wood, and we sell cast reproductions of their work in our gift shop. We also mount high-quality prints of icons and other sacred art for prayer and devotion. 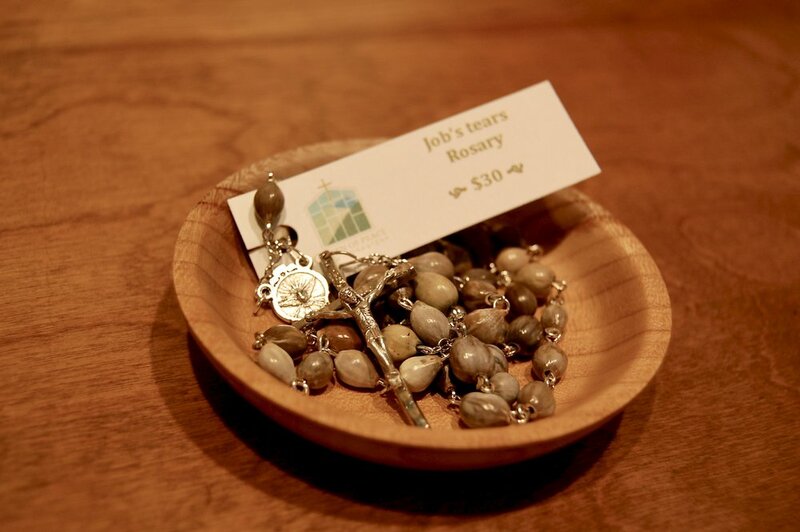 Our rosaries and chaplets are made from cord, wood, glass, Job’s tears or synthetic materials. From little Crown of Mary chaplets to large-sized display rosaries, each piece is hand-knotted with love and prayer.